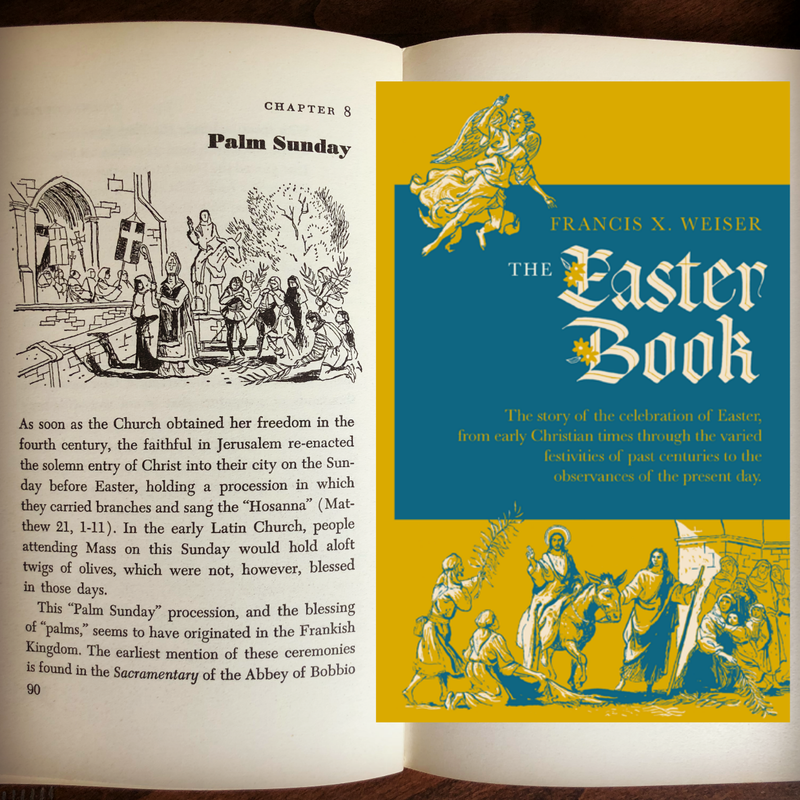 I love my out-of-print copy of The Easter Book by Father Weiser and am so happy to see that it has just been reprinted by St. Augustine Academy Press! "If you enjoyed learning about holiday traditions in The Christmas Book, you are sure to love its sequel, The Easter Book. 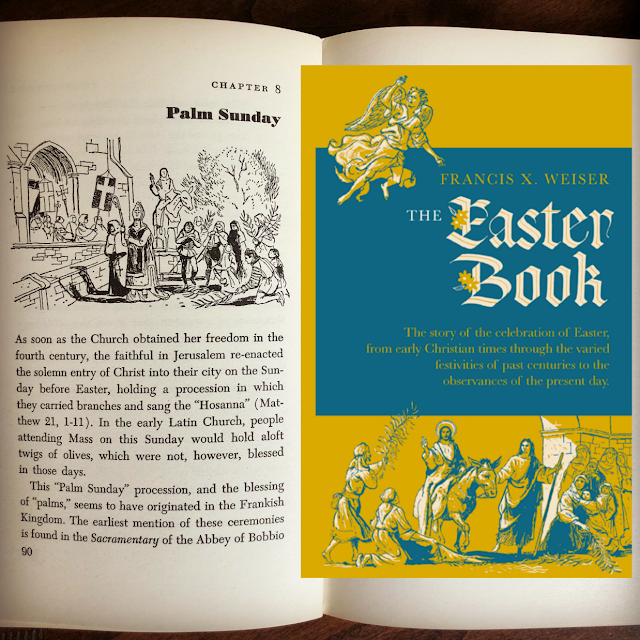 Father Weiser has here applied his winning formula to an explanation of the fasts and feasts of the Lenten and Easter seasons with equally fascinating results." Chapters Include: Introduction/The First Easter, Man and Nature, Farewell to Alleluia, Pre-Lent and Carnival, Sackcloth and Ashes, The Great Fast, Customs of Lent, Passiontide, Palm Sunday, Maundy Thursday, Good Friday, Holy Saturday, The Feast of Feasts, Easter Sunday, Easter Hymns and Music, Easter Symbols and Foods, and The Easter Season. 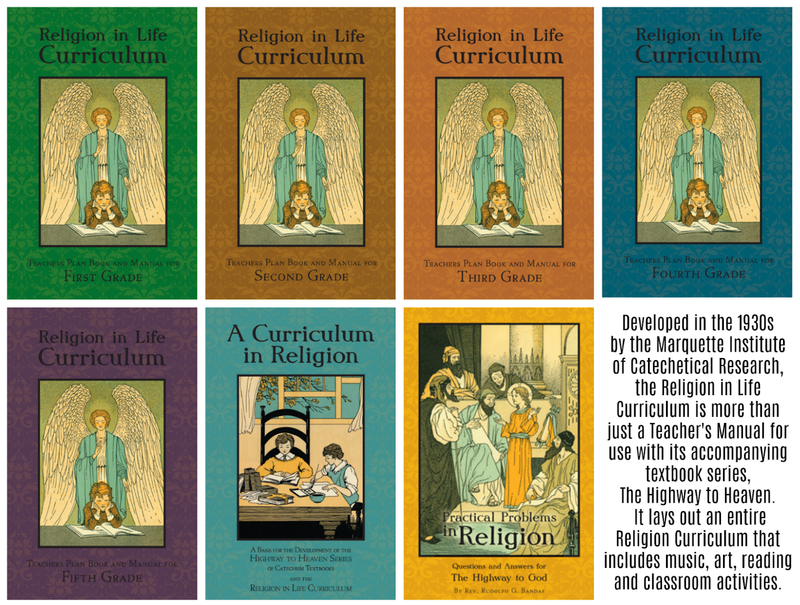 Another BRAND NEW release from St. Augustine Academy Press is the Religion in Life Curriculum to go along with The Highway to Heaven series which I've blogged about in the past here. At this point we only own a copy of Practical Problems in Religion, but I am looking forward to adding the rest of these books to our home library. "Developed in the 1930s by the Marquette Institute of Catechetical Research, the Religion in Life Curriculum is more than just a Teacher's Manual for use with its accompanying textbook series, The Highway to Heaven. It lays out an entire Religion Curriculum that includes music, art, reading and classroom activities." Here is a peek at what we are studying this week: The Crucifixion in Highway to God Book 7/8 and my 7th Grader and I are reviewing the answers to the "Problem Questions" found in Practical Problems in Religion. 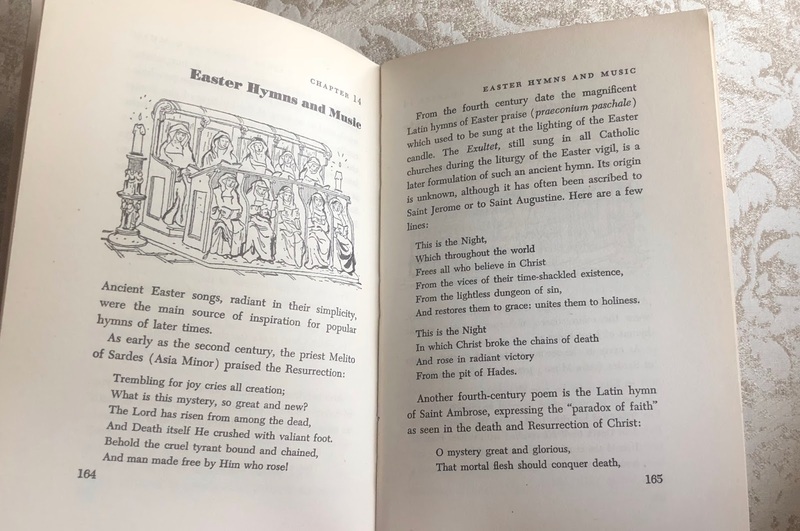 The publisher has generously offered to send a copy of The Easter Book along with the whole set of Religion in Life Curriculum Teacher's Manuals to one of my visitors here at Shower of Roses! 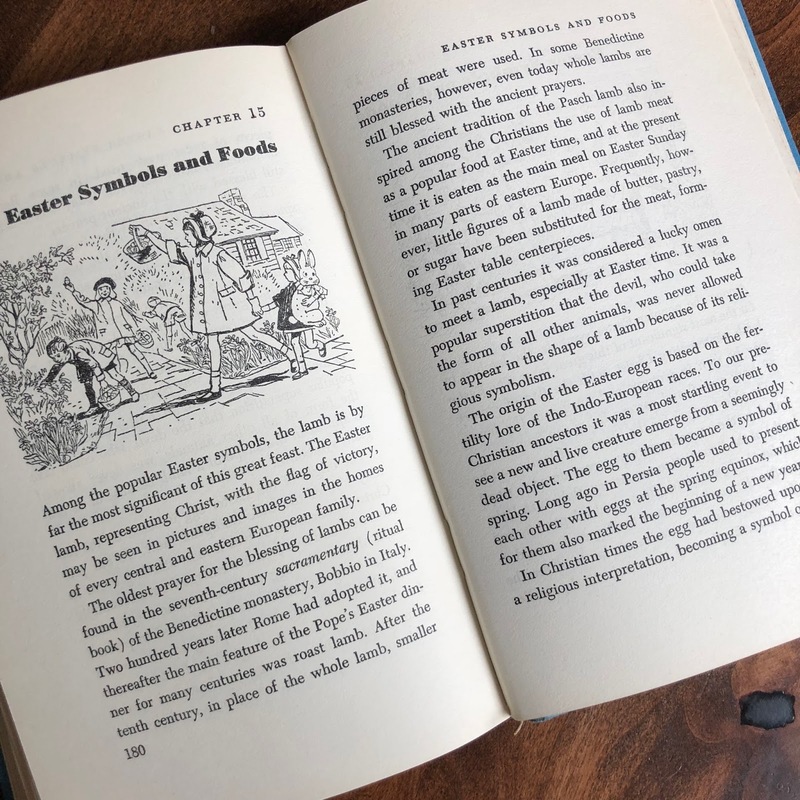 I'm also giving away a couple copies of The Easter Book over on Instagram so make sure and enter over there too!